There's something so classic and crisp about an all white outfit with a pop of color and these neon sequins are complete perfection. I love that top! Looks great with white jeans and the pops of neon! So gorgeous, love this outfit!! Loving this, Megan! I tend to shy away from sequins for fear of being too flashy haha but this is just the right amount of glitz! I am absolutely loving that top! I loved that shirt when it came out and I still love it. You look fabulous, lady! 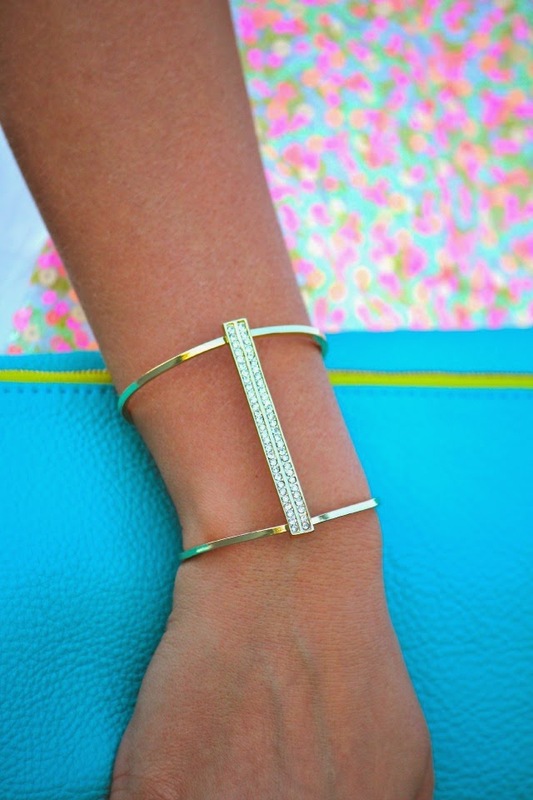 Love the bright teal clutch! Loving the neon sequins, its the perfect addition of color along with the heels!